During World War I, a German army officer and her companions try to thwart the plans of a secret society. During World War I, a German army officer and her companions try to thwart the plans of a secret society. In this revolutionary new conception of RPGs, the answer is yes! This game contains tons of elements and stuff that other programs of this genre definitely lack of. First of all, the story doesn't take place in a made-up fantasy world, the battleground of good and evil is our "wonderful" planet, during World War I, specifically in 1915. Our heroes travel around the world, and visit places like Paris, Petrograd, Southampton, Yokohama, and other existing -(altough we can only go to Europe and Japan, it is still quite an experience), but also to some imaginary places (eg. dungeons). It wouldn't make the game essential, so I have to mention the story as well. It is truly magnificent how the makers mixed some of the usual RPG background with real persons (to mention two, Rasputin, and King Solomon), and loads of morbid humour. Yes, this game contains jokes that you can not really find in other programs, and if you are not prepared, you can find yourself laughing at the PS2. However, the story itself becomes grimmer and full with sorrow as you approach the end, but every element is balanced, so you won't feel that something changed drastically. Gameplay: well, actually, it is kinda new. The battles are based on a system called "Judgement Ring" which requires the players timing as they execute commands and action. Be slow or bad in timing, and you mess up attacking; be good, and you win it all. Yes, all. Because as you master the Ring, you will be unable to be defeated. Doesn't matter who in your party is (there are a total of 8 characters, from Princess Anastasia Romanov to a half-Russian, half-Japanese harmonixer), you can't get stuck in this game, so that makes the program less challenging. Moreover, even if you have tons of actions and combos, the battles will become less versatile. Anyway, this is not a huge problem, because the length (50+ hours with all side-quests) and the essential atmosphere makes you forget about the shady parts, and definitely means a wonderful adventure. To everyone. 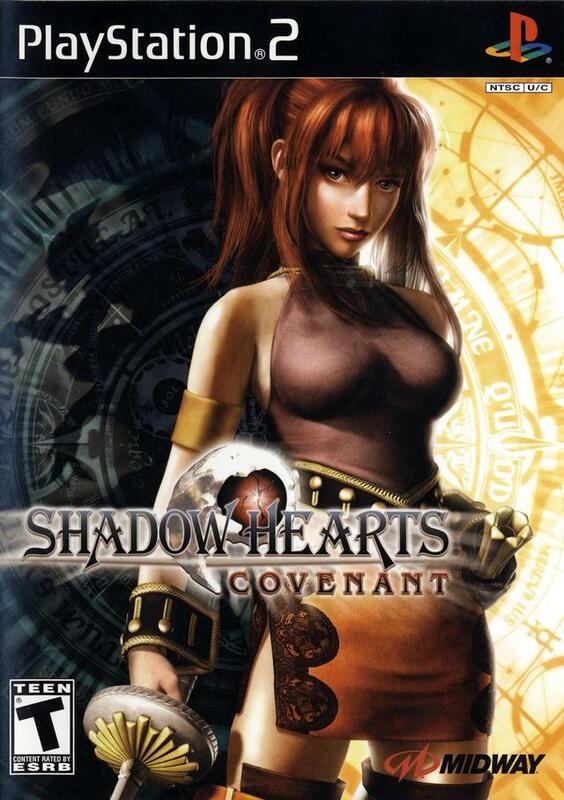 This game is a very good and fun follow-up to the Gothic, horror, science fiction game Shadow Hearts. Granted most of the horror is removed for this one and more humor added. And what is this? Can it be? A role playing game that is actually a direct sequel to the original rather than a completely different game and it isn't set in the distant future or past? Yes, Yuri is back and he has problems...a mad priest or something has shoved a cursed object into his chest and he only has a limited time to try and find a cure. Once again the judgment wheel is here to add some excitement to the combat which there are a couple of new touches as well. He meets a lot of interesting characters too as they range from the mysterious beauty Karin, to an old puppeteer, and even a gay wrestling vampire. Yes, only in the world of Shadow Hearts. It does get a bit goofy at times, but at others it is extremely somber as Yuri must confront the guilt he feels for another he felt he let down in the past. The game uses cinematic movie scenes great, good villains and a few surprising twists as well make this a very great and complete role playing adventure that stretches from Europe to Japan during World War I.